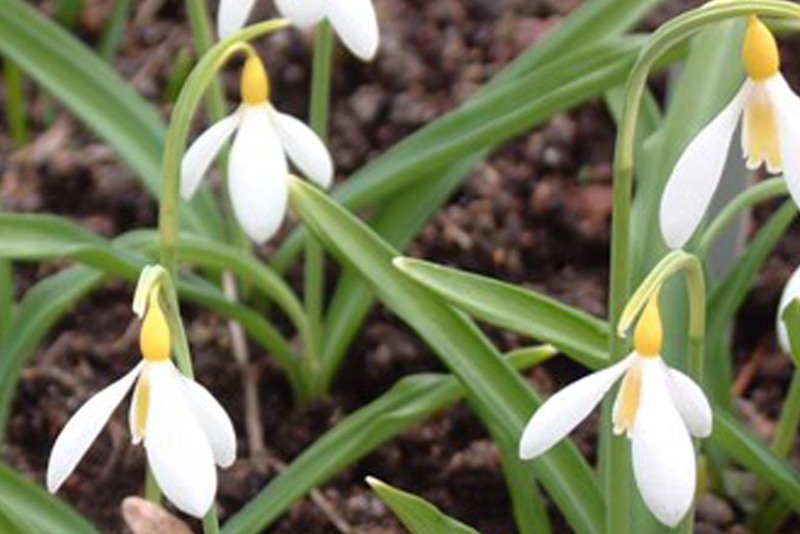 Genetic variations sometime arise in snowdrops which lead to variations in chlorophyll; the green photo-synthetic pigment that gives plants their colour. Plants with this variation exhibit a yellow colouring, most frequently on the flower markings but sometimes on the leaves also. Although largely associated with nivalis, this genetic variation could turn up in any species or hybrid and it is likely that the range of available yellows will increase with time. Yellow nivalis occurs amongst nivalis growing wild in Northumberland where they have been the subject of study. Over the years numerous souvenirs have been collected named distributed and often died out. As a result the naming of single yellow nivalis plants is currently rather confused.